GREEN MOUNTAIN IS NO LONGER IN BUSINESS! 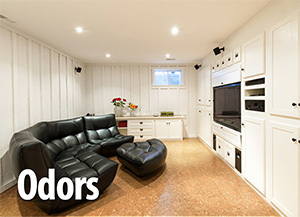 Vermont's Leading Basement Contractors Are Here To Support You! 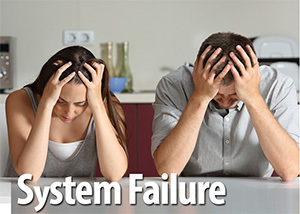 We have helped thousands of customers prevent costly problems so they can have peace of mind. 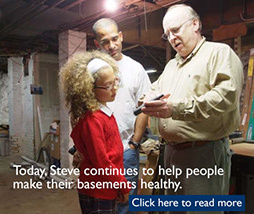 Vermont homes need a healthy basement and or crawlspace. 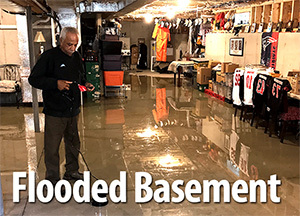 Moisture, dampness, and leaks in a basement and or crawl space can create an unhealthy indoor living environment. Even a small corrective step can make a major difference in someone's home or work place. 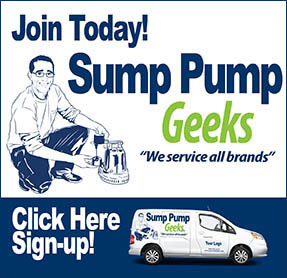 GrateDrain is an engineered sub floor basement drainage system used to quickly channel ground water to a collection system (GrateSump) where it can be pumped away. GrateDrain is designed so that its large punched holes on both sides collect ground water rapidly. It has many engineered fittings with access ports for the ability to maintain the system. 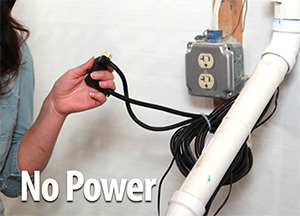 Control moisture in your crawl space & protect your family’s health. A dirt crawl space is typically saturated with moisture. Since warm air rises, the moisture in the crawl space will rise and enter the home or building. Installing a vapor barrier provides the crawl space with a moisture protection layer to protect the structure from the negative effects of moisture such as mold, floor failure, increased electricity costs, odors, insects, and dust mites. Moisture effects can also cause or worsen conditions such as asthma, hay fever, and or other allergies. 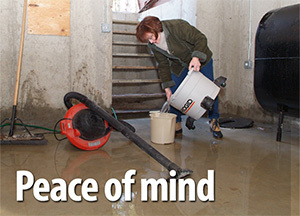 Get a more comfortable home and a healthier basement or crawl space with our WiseAire Dehumidification and Air Filtration Systems. 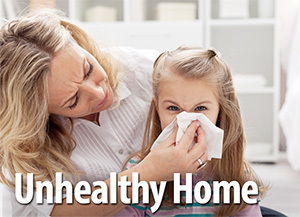 Lowering the humidity level in your basement will remove musty odors and limit mold growth. 50% of the air you breathe upstairs comes up from below your first floor. The WiseAire is designed to reduce the relative humidity to below 50%, ensuring that unhealthy mold will not grow in that environment! 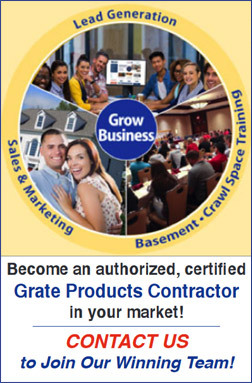 Grate Products, LLC purpose is to protect people from the dangerous conditions that can exist in their basement, by providing our quality basement products and processes. 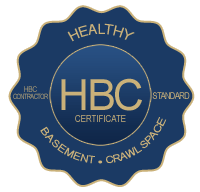 Our goal is to make every home in the world healthier by helping our contractors provide their clients with products & services that promote a healthy basement environment. 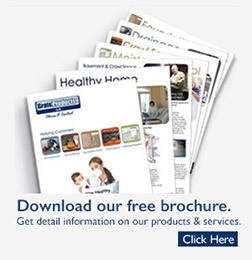 Schedule your free estimate to start the process for making your home healthy!